Chennai Super Kings beat Kings XI Punjab in match number 56 of the Indian Premier League (IPL) 2018 to finish second in the table. They will now face Sunrisers Hyderabad in Qualifier 1 on May 22. In pursuit of 154 runs in 20 overs, CSK chased down the target with five wickets to spare. MS Dhoni will be a happy skipper as CSK knock KXIP out after Suresh Raina special. The southpaw hit an unbeaten 61 runs to make sure CSK end with a bang and go into the Qualifiers with a lot of positivity and zeal. CSK bowled superbly earlier after a four-wicket spell from Lungi Ngidi stunned KXIP in Pune. A top order failure never allowed them to get the runs they would have desired. Karun Nair scored the lone fifty for KXIP with a classy 26-ball 54. KXIP bowled and kept CSK in control for most parts, but Raina’s heroics and a stunner from Deepak Chahar (39) saw they chase down the target in 19.1 overs. KXIP needed to win the match by a 58-run margin to seal play-offs berth, but it wasn’t meant to be. Here is the match in numbers. This was the 19th meeting between the two sides with CSK capping off a 11-8 margin. CSK also took a 5-4 margin in matches outside their respective home grounds. CSK ended with a 6-1 margin at home this season that includes Chennai and now Pune. This was KXIP’s fifth successive loss in IPL 2018. 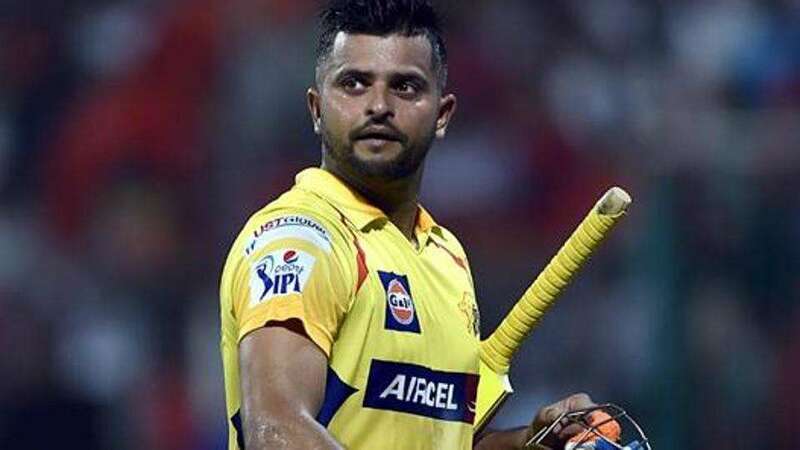 Raina reached 4931 runs in IPL and is trailing highest-scorer Virat Kohli by just 17 runs. KXIP exited in the group stages for the ninth time in 11 seasons. CSK finished in top four for the ninth time they have featured in IPL. KXIP’s Andrew Tye ended as the leading wicket-taker in the group stage (24). Both CSK and RR, who returned after a two-year ban, qualified for the playoffs. MS Dhoni crossed 4000+ runs in IPL and is the seventh batsman to do so. Ngidi bowled the joint-most economical four-wicket spell (4/10) in IPL 2018. He equalled Ashish Nehra’s tally. Suresh Raina defied KXIP so brilliantly that it was so pleasing to the eye. He came to the crease when CSK was 3/1 and played until the 20th over to see his side go past the line. Raina took his time in the middle and catered to ones and twos. But in the end, he accelerated when needed and finished with a flair. Four fours and two sixes was all he got on Sunday, but it was a classy punch. After hitting two boundaries in the fourth over, Raina hit his next boundary in the 19th. That’s when he smashed Andrew Tye for two sixes and two fours to take the game away from the visitors. His 56-run stand with Deepak Chahar changed the momentum in the match especially when CSK were reeling at 58/4 at one stage. The experienced campaigner. Imagine losing five matches in a row in the most pivotal stage of the tournament. KXIP never looked like getting to playoffs even if they had a slim chance. The top order failure hurt them immensely against CSK. A side that was heavily dependant on KL Rahul and Chris Gayle atop, lost them cheaply and never seemed to recover from there on. Manoj Tiwary (35 off 30) and David Miller (24 of 22) showed some resistance, putting on a 60-run stand for the fourth wicket. But once Tiwary got out, KXIP’s challenge once again derailed. Karun Nair showed tremendous fight down the order, hitting some lusty blows. But the right-handed batsman lacked support from the other end as the visitors again lost three wickets of Axar Patel (14), Ravichandran Ashwin (0) and Andrew Tye (0) in quick succession. The bowler showed enough promise in the Test series against India earlier this year and since then it has gone very well for Ngidi. He was the wrecker-in-chief for the southern giants with stunning figures of 4/10 from his four overs. He picked both the wickets of Rahul and Gayle and Punjab were left reeling at 16/3 after the first four overs with Chahar sending Aaron Finch back too. The youngster came back once again in the end to get the wickets of R Ashwin and Tye. Lungi bowled very accurate and gave away just 10 runs from four overs. Lungi has the best bowling economy of 6.11 in the tournament and has already picked nine wickets in five games. PreviousIs scrapping of toss a regressive step for cricket? NextIPL 2018: Which Team Will Come Out on Top In Playoffs?